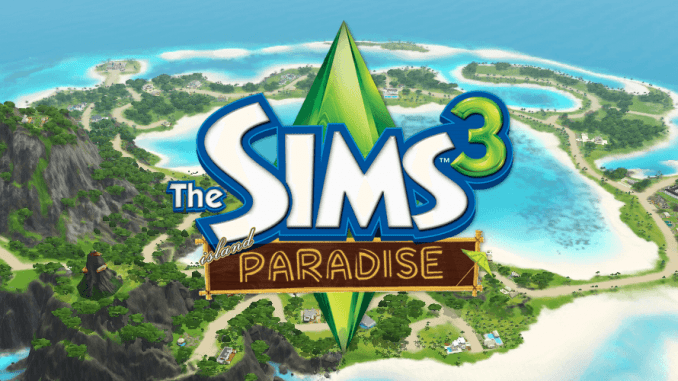 The Sims 3: Island Paradise is the tenth expansion pack for The Sims 3 published by Electronic Arts to be released in June 2013. It was announced as one of the line-ups of 2013 in The Sims series via a press release. 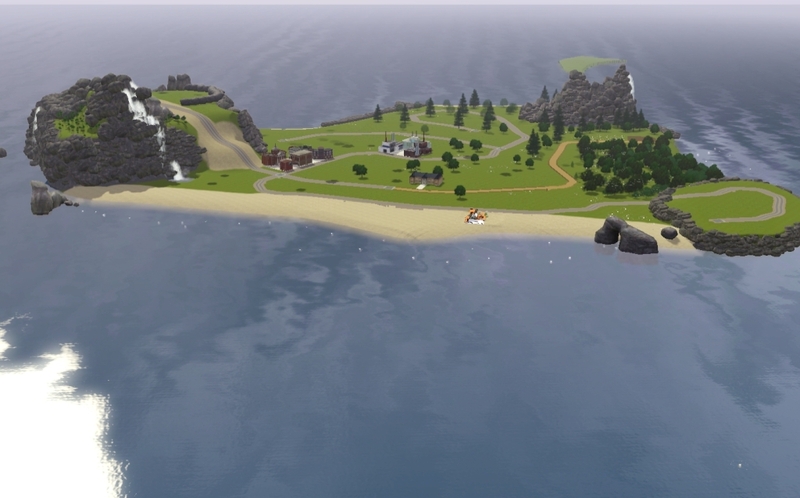 According to the announcement, The Sims 3: Island Paradise will allow sims to travel to islands using a boat, run a resort, and explore under the sea. Sims can travel by sea in boats, from island to island in a world. Players can create and customize houseboats in build and buy mode and Sims can live on them just like regular houses. They can also customize normal boats. Sims can go underwater and discover new collectibles and marine life using scuba diving and snorkeling skills. 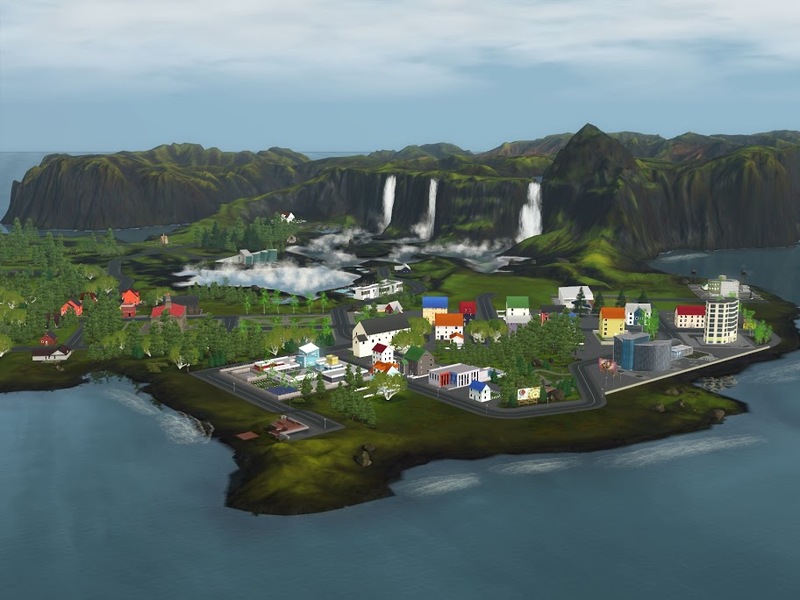 Players can build resorts and Sims will be able to own run their own resort. Resorts can range from bungalows to high-class hotels. Sims earn simoleons by running resorts. A Sim’s success depends on the resort’s popularity and its reviews. How to download the game? There’s no link for downloading the game?? Hi, i want to download this, but i don’t know how to. I know that you press the install button, but after reading the comments, I now realize that there are more steps to it. If you could tell me it would be very helpful. Thanks! Does this expansion pack comes with the island survival pack?? Just one question. Is it safe? The game came out a few hours ago, and i’e never seen a crack made so fast. Is this legit? Sorry for asking, but just curious. You guys always have safe torrents, so i’m just making sure. Have you unrared the The Sims 3 – Island Paradise.rar? Can you tell us more about what have you done? I can’t get the crack to work, even though I followed instructions. Please help! 2. Extract wherever you want. 3. Then open it, go to the #Crack folder, copy the two files over there and paste them in C:\Program Files(x86)\Electronic Arts\The Sims 3\Game\Bin. what key do i use? or where do i find it? An why is it a rar file and not a FLT? I downloded like all the other expansions and when i tried to installed, a window poped up saying i needed to update my game. When i clicked yes, an error poped up and now i can’t install the game :/ Also i checked on the game launcher if i needed to update the game and it said it is up to date… Any help? extract all the files into one folder, go to Support > Updates and double-clicked on the update so it updates manually. If it still shows you an error, I’d suggest you apply the Ultimate Fix and then try to update. thank you :) can you please tell me the serial key? I’m having problems with the [email protected], when I install the [email protected] available to download, the game says I need to update the modification ([email protected]), when I try the ultimate fix also says the same thing. I tried to install the crack that came with the download and the ultimate fix not work out. To install the update you have to go into the folder you created (unrared the files) and you will see a sub folder titled support. Click on that and then at the bottom it will say updates. Click on that again, double click the update icon and it will seem like it is doing nothing, but be patient and your game will update itself with that. It says there is no game disk? need help! I’ve tried but it doesn’t seem to work, I’m not sure if I’m doing it right. Where do I find the Registration Code? I don’t have any instruction there, I have downloaded only “The Sims 3 – Island paradise. RAR file”. What to do now? I do this, unrar this file. I read a installation guide but I can’t install, there writes: “The Sims 3 needs to be updated before this product can be installed”. What to do now? do you have the sims 3 base game installed and did you downloaded it here? Well I was going to download this but im unsure because people are saying its not working. But does it really work? Does it download all the content? Thank you so much!! ^^ It works amazing for me!! At first I was really skeptical because somepeople say it didn’t work, so I tried it myself it it worked!!! xD You guys just need to read the comments and find the things to get it to work. May I ask how is this legal to download? Did EA give u guys permission to offer this? Ok you removed my question so I take it, its illegal what you’re doing cause you couldn’t answer it. That’s ok.
Will this work if my base game is from Origin? Is there a download for an origin base game? Hi, when i try to unrar the file it ask me for a password. I go to the link that says the text file but the link doesn;t work. Have you downloaded the game on the link provided? but every time i klik SimsEP10Setup it tells me I need to update sims. please tell us the error you have encounter? ok, i have read the comment. Thats good! it ok to ask chae… thanks for using our site… happy gaming! @jocelynne, please make sure you have installed the sims 3 (base game) before this. For some reason I cannot get my sims island paradise to work. It is saying to insert the disk but it is not giving me the option to mount the disk to the G drive. Help! You will need to unrar/extract the .RAR file (using WinRAR or 7Zip) and read the Installation Guide included in it. Hello. I succesfully instaled it, everything work (creating the sims and etc), but I can’t buy or move into household. From that point of the game (the actual playing) it doesn’t work, freezes and I just can’t play it. What should I do? Btw, when I open the launcher and click the play button, a message pops out, saying that it is not the latest version and there can be some bugs during the game. What should i do?? i dont understand how to crack it or instal it at all ive downloaded it but now i have no idea what to do plz help!! hope this helps… Happy gaming! The serial code given in the installation guide is not working, and I’m getting an invalid key error after trying it twice. Can you provide a new key or offer a way to find a new one? Thanks. to install the update you have to go into the folder you created (or unrared) and you will see a sub folder titled support. Click on that and then at the bottom it will say updates. Click on that again, double click the update icon and it will seem like it is doing nothing, but be patient and your game will update itself with that. Ive already installed the expansion pack and I’ve applied the crack, but upon launching the game, a small window pops up saying something like “the unofficial game modification does not match your current version of Sims 3. We reccomend that you either uninstall these game modifications or get updated versions of them- otherwise you may experience crashes or bugs” I decided to let it continue loading anyway, but in the menu, i cant start a new game, I don’t see any text in the options menu, and there are no households to play with. Could you please help? Do you have mods installed on your game? We haven’t tested this on a moded sims and we didn’t support mods as there are conflicts you may encounter… If you have unofficial mods and want to play this please consider to uninstall it as we can’t really help you on it… you can comments for more info about how to install this expansion pack… hope this helps… happy gaming! No, I have no mods installed whatsoever. This error only pops up after I installed the expansion pack. The error suggests that the expansion pack’s version does not match the version of the current Sims 3 game. Right now I have the latest version of Sims 3. I think that may be the problem, but I’m not sure how to fix it. Note: you will need to use the most recent or new crack to make the game work… hope this helps… happy gaming! Ah, I forgot to mention that I have the actual Sims game, not the cracked version. I’m guessing that may be the problem then. Would that mean that I can only used the cracked version in order for the expansion pack to work? That’s good! happy that it worked for you… you are always welcome glad to have you here… happy gaming! The downloads seem to be working for me so far. I have downloaded Supernatural with no trouble at all, and now I’m getting everything at once. Hope I don’t… muck things up. You can read here https://freepcgamesden.com/the-sims-3-fix/ to know how to make the game work… Happy gaming!! I donwloaded it before checking the specs, and now I have half the expansions installed and I was going to crack island paradise now, but I’m having trouble. Does this work on windows 8?? If I can’t make the crack on windows 8, will buying the latest expansion only and using its cd fix the problem? I hope I haven’t wasted my time..
hope this helps… happy gaming!!! So, here is my problem I’ve downloaded two expansions from you and they worked perfectly fine without me adding the crack. I bought and downloaded my Sims 3 Base Game though I was assuming that was why I didn’t need the crack, sadly I was wrong I downloaded and installed both Island Paradise, and Into the Future (At different times)and both say I need to insert a disk, so I tried adding the cracks to their respected files, but the problem with that is that my game warns me that it will experience bugs and glitches. So, ignoring that i continue my game and it doesn’t allow me to play do to the fact that nothing shows after the first loading screen which successfully shows the recently downloaded EP. I really want to play and I really do thank you for Late Night and Showtime, but these two are really frustrating. Could this be happening do to the fact that my Electronic Arts file isn’t in Program x86 because I’ve checked there and it doesn’t exist. If you have bought the base game and want to download all the expansion pack you will need to still crack your base game some may work without cracking but others requires it. There’s no .iso file… So this is useless!